This will be the first year in many that I won’t be down at Victory Square for Remembrance Day. I always think of my grandpa… his shiny shoes and box of poppies around his neck. I picture him standing in front of the Bank of Montreal wearing his medals, and then being in the parade in my hometown of London Ontario. We would always watch the parade from an upstairs window of the legion to get a good view of everything. 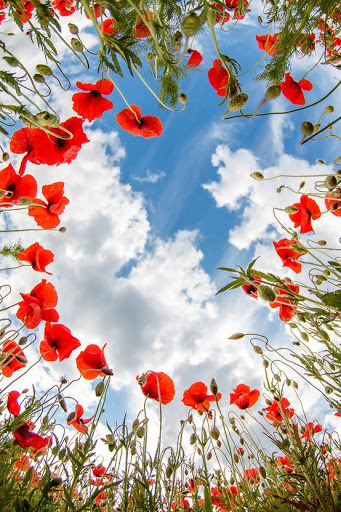 My workshop down at The Yoga Conference doesn’t begin until 11:30 so I will be sure to Commemorate Remembrance day in meditation at 11:11 and it will never be far from our minds the rest of the day. Remember to wear your poppy and pay tribute. We are the luckiest people in the world. November 11, 2012 in freedom. love, giving thanks, heroes, hope, love, paying respects, peace, remembrance day, showing respect, showing support, vancouver yoga conference, veterans, yoga conference and show.